Used Komatsu PC03 Micro Digger only 770 hours, this micro digger is suitable for going through internal doors. It has been fully serviced and has had the pin work completely checked through. It is in mint condition. 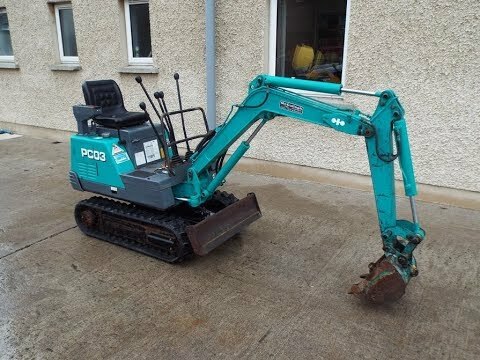 To make an enquiry about Used Komatsu PC03 Micro Digger call us on ROI 048 6634 8213 | NI 028 6634 8213.